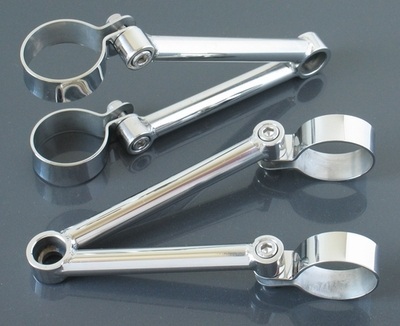 These highly polished headlight brackets give a very handsome retro cafe racer look. Length 114mm. The recessed headlight installation hole diameter is 10mm.